There is no substitute for talent. 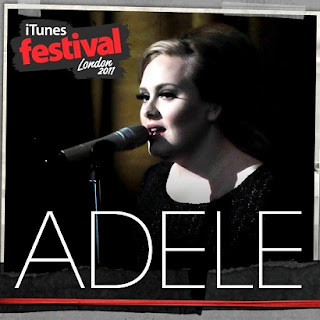 Nothing excites like the real deal, and Adele is all that and then some. Indeed the British songstress has captivated the masses like few other contemporary artists could hope to these days, consistently shattering music-industry records—this past week her sophomore LP 21 became the most-downloaded album ever—and with a just-released EP highlighting her recent performance at the iTunes Festival in London, she keeps right on thrilling. “Rumour Has It” and “Rolling in the Deep” are both delivered with fresh, mischievous intensity—at times on the latter Adele hands off the vocal to an already euphoric audience, which comes through like a megachurch choir—her voice commanding its way through these tribal-thumping powerhouses. Then with a ballad like “Take It All” she breaks your heart in half, mustering emotions so raw and with such naked vulnerability that by the end of it you feel like you’ve been run through the mill. To just piano accompaniment she breathes new life into Bonnie Raitt’s “I Can’t Make You Love Me,” as well, with similar intimacy and conviction. This above all is why Adele resonates with so many listeners. She sounds like she feels it like she means it. And with a much-anticipated North American tour slated to start on August 9, this brief set offers a fine preview of what they can expect from her in person.